The Temporality of Realism and Romance in ‘He Knew He Was Right’. A. S. KINNEAR, IN HIS 1864 piece in the North British Review, wrote: “The realist in fiction is careless about plot. His sole object is to describe men’s lives as they really are” (qtd. in Skilton 150). Almost all Trollopian critics focus on the author’s role as a mid-Victorian “realist in fiction.” Trollope’s realism corresponds with Victorian realism as a whole in its development and portrayal of character. Kinnear’s distinction that realists are careless about plot reflects wider nineteenth-century ideas of realism that contrasted character and plot; too much emphasis on the latter frequently shifted an author or a work out of realism and into the popular genre of sensational fiction.1 Trollope is frequently praised for his execution of the latter half of Kinnear’s definition; his “flesh and blood”2 characters largely contribute to his reputation as an exemplary realist author of the mid-Victorian novel. Trollope’s self-proclaimed affinity with character and realism is supplemented by his belief that both character and plot, both the real and sensational, should be present within “a good novel.” This balance of style and form does not challenge Trollope’s position as a realist; it provides a useful lens through which to investigate how realism operates in his novels, particularly in relationship with and in contrast to other genres. Though sensational fiction is historically considered to be bound to plot, recent criticism reveals its overlooked intricacies of character development. Patrick Brantlinger regards psychological interiority as one of three defining elements of sensational fiction (3), exemplified by novels such as Mary Elizabeth Braddon’s Lady Audley’s Secret. Trollope’s elaborate rendering of interiority places his fiction in relation to sensational fiction. However, this is not the common view; Amanda Anderson, Susan Peck MacDonald, and Richard Mullen all view Trollope’s innovation in creating psychological characters as an inherently realist construction. Jenny Bourne Taylor, alternatively, reveals the genre duality of psychological character in both Trollopian and sensational fiction.4 Thus, what some critics view as the most realistic attribute of Trollope’s fiction is also its closest affinity with sensational fiction. Taylor further notes that the latter is “a hybrid narrative mode,” and that “Trollope’s brand of realism was equally hybrid” (88), revealing new avenues in which to explore Trollope’s particular style of realism. Focusing on character development, Trollope explores the sensational themes of insanity, jealousy, and pride through the detailed lens of a realist. Thus, in his authorial hybridity, what is real becomes the sensational, and what is sensational becomes the real. DESPITE THIS CONNECTION, Trollope is rarely associated with sensationalism except in opposition. While both his life and his work reveal an attempt to mediate the imaginative, the sensational, and the romantic, the passage from his Autobiography above reveals a desire to create a hybrid fiction. Brantlinger argues that Trollope ultimately fails in this goal: “realism and sensationalism are still antithetical in his usage, and he clearly prefers the probable and commonplace to their opposites” (15). But while Trollope avoids sensationalism, he remains open to its close relative, romance. The OED defines romance as “A fictitious narrative, usually in prose, in which the settings or the events depicted are remote from everyday life, or in which sensational or exciting events or adventures form the central theme” (“Romance”). Its removal from everyday life and its association with sensational events disconnect it from both Victorian and current ideas of realism.5 Just as we cannot say that Trollope wrote sensational fiction we cannot say that he wrote romance, yet romance is present throughout his fiction and provides an untapped viaduct through which to view and understand his realism. Trollope’s dedication to the probable and the possible pervaded even his private life and imagination. In An Autobiography he writes about a rigidity of detail in his youthful fantasies, how he adhered “to certain laws, to certain proportions, and proprieties, and unities. Nothing impossible was ever introduced,—nor even anything which, from outward circumstances, would seem to be violently improbable” (Trollope 36). He prided himself that this regulation of romance and rule of reality transferred to his fiction. In an 1863 letter to George Eliot, referring to his novel Rachel Ray, he states: “I have shorn my fiction of all romance” (qtd. in Herbert 229). Whether this is completely true, and Christopher Herbert argues it is “no more than half true” (229), it is clear that Trollope deemed it important to abjure romance within his realist novels. Yet romance, in its many forms, is a point of inquiry and intrigue throughout his fiction, particularly in its relationship with realism. Alice Green Fredman shows that Widow Greenow in Can You Forgive Her? (1864-1865) recommends a balance of realism and romance: “Just as she has learned that a little romance is good in men, ‘just a sniff, as I call it of the rocks and valleys,’ so she recommends the ‘bread-and-cheese’ of discretion as ‘the real thing’” (16). Thus the dialectic between realism and romance is present not only in Trollope’s personal thoughts and writings about novels, but also in the novels themselves. Anthony Trollope was not fond of his 1869 novel He Knew He Was Right. He wrote in An Autobiography: “I do not know that in any literary effort I ever fell more completely short of my own intention than in this story…I look upon the story as being nearly altogether bad” (266). 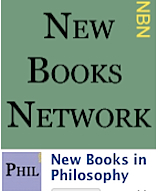 Critics and scholars, however, have found the novel a fruitful space in which to explore the author’s style, content, characters, and contemporary views. Richard Mullen names it “one of Trollope’s greatest novels” (215), and Arthur Pollard praises it as “among Trollope’s three or four best novels” (126). Many critics admire the novel for characteristics that span Trollope’s oeuvre as a whole: notably his use of psychology in developing realist characters. Yet the novel’s main psychological plotline, surrounding the Trevelyans, involves “the central sensational device of emerging insanity” (Taylor 96). With the main theme critically praised for both its realist and its sensational qualities, the dividing lines between the genres are particularly unclear in this novel, revealing Trollope’s realism to be not only hybrid, but in flux. One way to wade through the conceptions of realism in Trollope’s work is to examine his use of romance. Romance is a more diverse term than sensation or sensational in He Knew He Was Right. “Sensation” occurs just three times throughout the two-volume novel, in all of which it is synonymous with feeling. The word sensational appears just once, to describe the situation of Camilla French as she is jilted by Mr. Gibson, and heavily intimates the conventions of sensational fiction: “A sister, a mother, a promised lover, all false, —all so damnably, cruelly false! It was impossible. No history, no novel of most sensational interest, no wonderful villainy that had ever been wrought into prose or poetry, would have been equal to this” (Trollope HKHWR 615). Her description clearly invokes the literary sense of the sensational, the fictional attempt to violently startle and excite, which in its temporal immediacy contrasts the remoteness of romance. Camilla’s situation gestures toward the exciting and adventurous aspects of romance, but is differentiated and identified as sensational in that it is not “remote from everyday life” (“Romance”). The word “romance” occurs much more frequently: twenty-two times throughout the text. Trollope does not use the term in any singular or concrete way; each use is slightly different, and many are contrasting. The term is multifarious, encapsulating its definitions pertaining to form such as picturesque, abstract, exotic, dramatic, and epic, as well as its connotations of love, passion, and poetry. Yet pertaining to either form or experience, romance in Trollope is consistently tied with reality: whether in conjunction, contrast, or conflation. ROMANCE IS TEMPERED by and temporally removed from realism throughout the novel, yet this temporal distance is abstract rather than concrete. In contrast to Scott’s romances, the Trollopian romantic is constructed not through a setting in the definite historical past, but rather through an abstract situation on either side of the present. It is either projected into the future or serves as a reflection of the past. These temporal inflections of romance and its relationship with reality reveal the substance of Trollope’s realism of He Knew He Was Right. The word romance first appears in chapter four, where it is from the beginning both at odds with reality yet also possible within it. 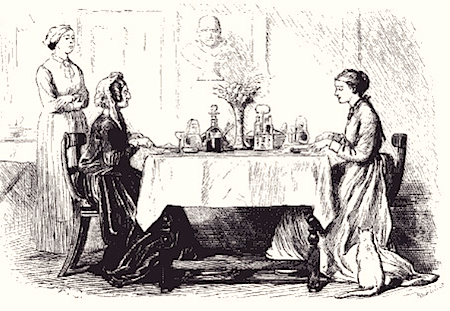 Lady Rowley says: “Romance is a very pretty thing…I don’t think life would be worth having without a little of it…But you can’t even be romantic without something to eat and drink” (Trollope HKHWR 34). The juxtaposition of “a very pretty thing” with “something to eat and drink” evokes the difference between romance and reality, between imaginative fancy and pragmatic detail. Yet it also shows their relationship: the former is only possible when the needs of the latter are satisfied. Reality pervades Trollope’s characters’ personal lives as they attempt to inhabit romance; sober practicality reveals that an excess of romance—Lady Rowley only allows life “a little of it”—is unwise, unsustainable, and unrealistic. It is the details of reality, such as Lady Rowley’s victuals, that diminish the romantic qualities of exotic locations and new experiences: once Trevelyan and Glascock “had become critical judges of Italian inns and Italian railways, they did not find that journey to be quite so pleasant. There is a romance to us still in the name of Italy which a near view of many details in the country fails to realise” (Trollope HKHWR 627). One of the many appeals of romance is its status as the unknown, the thrilling, the sensational; the details of and familiarity with the operations of inns and railways snuff out the romance in favor of a stale realism. Romance is also depicted throughout the novel in reference to the literary and stylistic form, encompassing the themes of heroism, the exotic and unknown, and adventure. Nora tells Mr. Glascock, “If ever there was a hero of romance, you are he!” (Trollope HKHWR 707). She goes on to call him a knight, a figure of romance, after his allusion to a situation in which he would hold a romantic role: a Paynim knight performing a romantic action, a battle charge, in a romantic location, Palestine. Yet here as well romance is moderated by realism. In addition to Caroline’s retort, “The heroes of life are so much better than the heroes of romance,” the exotic and imaginative image is sharply contrasted by the details of Glascock’s reality: “he would rather ride a charge against a Paynim knight in Palestine than get up at half-past four in the morning” (Trollope HKHWR 707). The lofty escape of imagination is not a permissible route for Trollope’s characters, who must content themselves with Caroline’s title: a hero of life. The details of reality reign. Time is a ubiquitous, and therefore inherently realistic, aspect of human experience: connected to both the minor details and the greater systems of life. Thus, temporal experience serves as an unavoidable reminder of the real throughout He Knew He Was Right. A clear connection between time, reality, and romance is Colonel Osborne’s self-admission that “he was no longer fit to be the hero of such a romance as that,” referring to the clandestine affairs of murder or running away with his friend’s wife (Trollope HKHWR 172). Here realistic time etiolates romance in the form of Osborne’s wrinkles and aging, and also in the temporal phrasing of “he was no longer fit.” For Osborne, Trollopian romance is only possible in a temporal imaginative space located in the past. This connection between romance and the past, particularly for men, is further illuminated in Mr. Gibson’s relations with the French sisters. He attempts to stoke his current “something of a feeling of romance” by recalling, rather than reviving, the past, thus situating romantic passion in the temporal and emotional past (Trollope HKHWR 310). “There had been a time” immediately evokes the past, and the “period” and “era” of passion are distanced by the curt “but all that was over now.” The present is revealed to be a space of reality, a detailed temporality structured by schedules, whereas romance can exist only in the reflected past: “He was back at his lodgings before three, at which hour he ate an early dinner, and then took the afternoon cathedral service at four. The evening he spent at home, thinking of the romance of his early days” (Trollope HKHWR 310). Both Osborne and Gibson, as unmarried older men, see romance as a thing of their youth: of the past, unattainable, and unable to be reconstructed. THE WOMEN OF the novel, however, frequently project romance into the future. Both Dorothy Stanbury and Nora Rowley, as two of the young single females of the novel, view their futures as laced with romance. Dorothy contrasts her past, her small income and dependence at Nuncombe Putney, as well as her present situation at the Close, with the projection of a future happiness with Brooke Burgess. 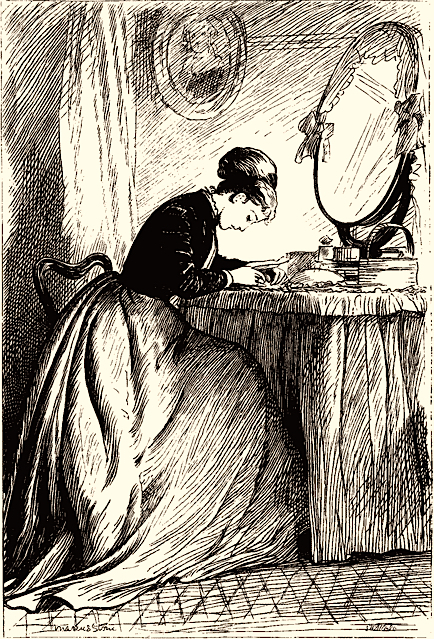 When she sits “trying to convince herself that for her this little episode of romance could mean nothing serious,” she attempts to deny the inherently futuristic and unknown elements of romance, and thus tries to remain firmly within the monotonous present or “the old days at Nuncombe Putney” (Trollope HKHWR 455). Nora, however, revels in the prospect of the future. She projects a felicitous ending with Hugh Stanbury, in which she casts herself and her suitors into literary roles: “Then she pictured to herself a long romance, in which the heroine lived happily on the simple knowledge that she had been beloved. And the reader may be sure that in this romance Mr. Glascock with his splendid prospects filled one of the characters” (Trollope HKHWR 341). While Dorothy attempts to banish romance by focusing on the real, Nora instead seeks to conflate her imagination with her future by populating romance with her reality. Nora further associates romance with the futuristic element of the unknown, and expresses an antipathy to the realistic details that constitute the present. This differentiation between real and romance is once again temporal, with reality intruding upon a projected romance: “She had looked forward to sitting up at night alone by a single tallow candle, to stretching a beefsteak so as to last her for two days’ dinners, and perhaps to making her own bed. Now, there would not be the slightest touch of romance in a visit to Lady Milborough’s house in Eccleston Square, at the end of July” (Trollope HKHWR 783). Nora tries to increase the probability of her projected future with Hugh Stanbury by incorporating the minor details of reality. The specificity of the single tallow candle, the beefsteak, and the two days’ dinners shows her attempt to render her imagined future to be as probable as the reality of “Eccelston Square, at the end of July.” Nora attempts to bring romance a bit closer to the real by weaving acute details into the unknown and unfamiliar of her predicted future, which shows the importance of specificity and detail to Trollope’s sense of the real. While many scholars are quick to note Trollope’s denunciation of He Knew He Was Right, what is rarely acknowledged is his one positive estimation of the novel: the creation of Miss Jemima Stanbury. He writes of the novel: “It is in part redeemed by certain scenes in the house and vicinity of an old maid in Exeter. But a novel which in its main parts is bad cannot, in truth, be redeemed by the vitality of subordinate characters” (Trollope An Autobiography 266- 267). Yet the core of Trollope’s realism is illuminated not through the Trevelyan plot, but through his “subordinate characters” such as Nora, Dorothy, and, most interestingly for the present discussion, Miss Stanbury. Other critics have also noted her excellence and worth, if in a slightly backhand way. Though primarily concerned with the Trevelyan plot, Arthur Pollard describes Miss Stanbury as “one of Trollope’s minor masterpieces of characterization, an ogre with a heart of gold” (127). Others, however, completely miss the point: Richard Mullen only mentions Miss Stanbury in reference to her conservatism, a detail also emphasized by Pollard, and for her dislike of the post in order to elucidate connections between Trollope’s life and art. 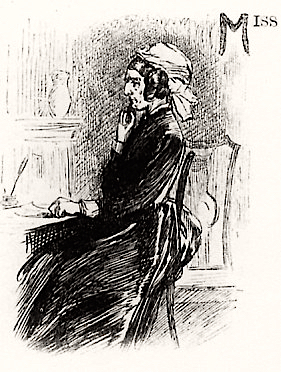 While Margaret Markwick is correct that Miss Stanbury wields a great amount of power in the novel, her criticism of the use of that power6 fails to understand the implications of Miss Stanbury’s liminal position as an unmarried woman of fortune, at once a widow and an old maid, within mid-Victorian society. Romance for Miss Stanbury is not akin to Dorothy or Nora’s hopeful projection of happiness, nor is it similar to the wistful reminiscence of Osborne or Gibson. These characters choose to dwell on the romantic, whereas Miss Stanbury views it as something to remove, shun, and attempt to forget. She is wealthy, but we are told early in the novel that she “had not been born to this wealth, nor can she be said to have inherited from her forefathers any of these high privileges which had been awarded to her. She had achieved them by the romance of her life and the manner in which she had carried herself amidst its vicissitudes” (Trollope HKHWR 61). Romance here can be taken two ways: in the connotative feeling sense, that Miss Stanbury’s romantic attachment to Brooke Burgess the elder was indeed the circumstance through which she received her wealth, or, in the narrative sense, in which the adventure, the great story of her love affair with Burgess is the means through which she received her fortune. 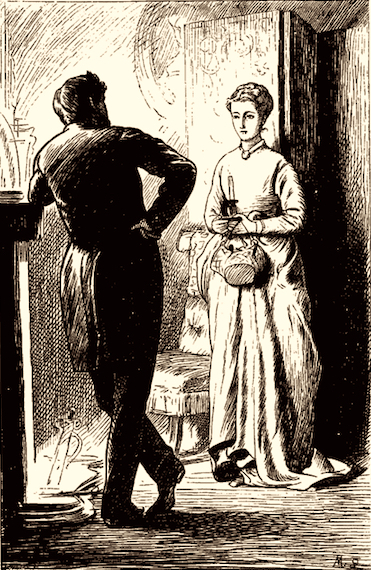 Indeed, Miss Stanbury’s tale is full of the romantic and, more aptly, the sensational: the family feuds, her quarrel with her own family, her destitution, his desertion, her tender care at his deathbed, and the shocking ending are so sensational that they stretch outside the bounds of Trollope’s scope. He intentionally removes this plot from the narrative, writing “it need not here be told” (Trollope HKHWR 62), illuminating the inability of the romantic to exist within his realism, both in structure and in plot. Yet the implications of the blending of the real and the romance remain ever present throughout the novel. The continual suffering and constant guilt derived from her romantic story remove any past, current, or future happiness from Miss Stanbury’s experience of romance. Her destitution in the past, her guilt in the present, and her plans to make amends in the future evoke only the reality of Miss Stanbury’s romance. MISS STANBURY’S REMARK that “Romance is very pretty in novels, but the romance of a life is always a melancholy matter. They are most happy who have no story to tell” (Trollope HKHWR 296) denotes the discord between fiction and nonfiction, between romance and reality. This division shows that a paradoxical intimacy of the two is unable to produce happiness or fulfillment. Whereas Markwick reads Miss Stanbury’s encouragement of Dorothy to marry Mr. Gibson, and her subsequent chiding when her niece refuses, as “convention and prejudice” (194) and Wendy Jones reads it as akin to forcing her niece into prostitution (401), Miss Stanbury is in fact attempting to protect Dorothy from a similar life riddled and ruined by the romantic. If she married Gibson Dorothy’s life would instead be filled with schedules, furniture, and, most importantly, a hefty portion of her aunt’s fortune, a pecuniary detail that highlights the realism behind Miss Stanbury’s choice. Her refusal to allow Dorothy to marry Brooke Burgess the younger—whereas she herself fell in love with Brooke Burgess the elder—is a further attempt to protect Dorothy from a life strikingly parallel to her own, congested with guilt and suffering. In a life haunted by romance, Miss Stanbury clings to the details of reality. The first Married Women’s Property Act was implemented in 1870, just one year after He Knew He Was Right was published.7 Wendy Jones’ description of the novel as “an exploration of male authority and women’s rights within marriage—core issues in arguments over married women’s property” primarily describes the Trevelyan plot (401), and by contrast shows Miss Stanbury’s liminality—both in the novel and in her own society—as an unmarried woman with property. The first introduction to Jemima Stanbury highlights her position as a “maiden lady” (Trollope HKHWR 59), and there is something uncomfortable in the way Trollope notes that her garden “added something to the reputation even of Miss Stanbury” (Trollope HKHWR 61), as if an old maid’s status and repute is something barely supportable or improvable. She carves a space for herself in Exeter, “thinking there was no other provincial town in England in which a maiden lady could live safely and decently” (Trollope HKHWR 65). Her strict attention to schedule, routine, and habit is an attempt to maintain control and position in a society that is both threatened by and scornful of her as a single woman of power. Her life is full of detail and schedules, hallmarks of a temporal reality. Just as she is “very punctilious in all her habits, breakfasting ever at half-past eight, and dining always at six,” she attempts to remove all elements of novelty, excitement, and the unknown from her life. Eschewing change even as trivial as the fashionable trend of Arabella Finch’s chignon, Miss Stanbury makes it known that “All change was to her hateful and unnecessary” (Trollope HKHWR 64-5). Her rigidity, however, is not a snobbish and blind adherence to the past as other have suggested, but instead a fear of change, of adventure, and of the unknown. A fear, in short, of romance. Miss Stanbury is thus uniquely and intimately connected to the intersections between romance and reality in the novel, and illuminates the ways in which Trollope underscores his realism by depicting romance as something of the past or the future, rather than the present. The present is instead dedicated to the real, to Mr. Gibson’s monotonous schedule, the accuracy of the timetables at the train station, and the Bozzle-worthy minuteness yet abundance of detail that fills the novel. The present is a space neither of reflection nor projection, and is thus Miss Stanbury’s domain as she attempts to forget the destitution of the past and the guilt of the future in the structure and habits of the present. She attempts to transform every uncertainty of the future into a tangible and manageable facts, and in doing so, reveals the temporal relationship between realism and romance in Trollope’s fiction. Sarah Faulkner is a PhD student in English at the University of Washington. She focuses on eighteenth- and nineteenth-century British fiction, particularly women’s writing and lives. This essay was awarded the Trollope Prize for 2015. 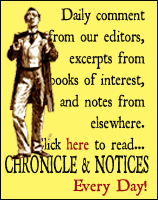 The Prize is administered by the English department, with support from the Hall Center for the Humanities, at The University of Kansas, and published each year by The Fortnightly Review, which was founded by Trollope and others in 1865. Anderson, Amanda. “Trollope’s Modernity.” ELH 74.3 (2007): 509-534. Web. 6 June 2015. Booth, Bradford A. Introduction. An Autobiography. By Anthony Trollope. Berkeley: U of California Press, 1947. Print. Brantlinger, Patrick. “What is ‘Sensational’ about the ‘Sensation Novel’?” Nineteenth-Century Fiction 37.1 (1982): 1-28. Web. 8 June 2015. Dames, Nicholas. “Trollope’s Chapters.” Literature Compass 7.9 (2010): 855-860. Web. 6 June 2015. Fredman, Alice Green. Anthony Trollope. New York: Columbia UP (1971). Print. Herbert, Christopher. “Trollope and the Fixity of the Self.” PMLA 93.2 (1978): 228-239. Web. 31 May 2015. Jones, Wendy. 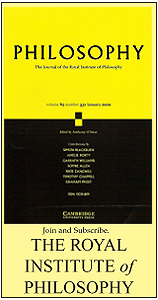 “Feminism, Fiction, and Contract Theory: Trollope’s He Knew He Was Right.” Criticism 36.3 (1994): 401-414. Web. 31 May 2015. Lewis, Monica C. “Anthony Trollope and the Voicing of Victorian Fiction.” Nineteenth-Century Literature 65.2 (2010): 141-165. Web. 6 June 2015. MacDonald, Susan Peck. Anthony Trollope. Boston: Twayne, 1987. Print. Markwick, Margaret. Trollope and Women. London: Hambledon, 1997. Print. Mullen, Richard and James Munson. The Penguin Companion to Trollope. London: Penguin, 1996. Print. Pollard, Arthur. Anthony Trollope. London: Routledge, 1978. Print. “Romance, n. and adj.1.” OED Online. Oxford University Press, March 2015. Web. 7 June 2015. “Sensational, adj.” OED Online. Oxford University Press, March 2015. Web. 8 June 2015. Skilton, David. Anthony Trollope and His Contemporaries. London: Longman, 1972. Print. Taylor, Jenny Bourne. “Trollope and the Sensation Novel.” The Cambridge Companion to Anthony Trollope. Eds. Carolyn Dever and Lisa Niles. Cambridge: Cambridge UP, 2011. Print. Trollope, Anthony. An Autobiography. Berkeley: U of California P, 1947. Print. Trollope, Anthony. He Knew He Was Right. London: Penguin, 2004. Print. Wagner, Tamara. “Stretching ‘The Sensational Sixties’ Genre and Sensationalism in Domestic Fiction by Women Writers.” Victorian Review 35.1 (2009): 211-228. Web. June 8 2015. This Fortnightly Review article is filed under the following rubrics: The Trollope Prize. Publication: Monday, 21 December 2015, at 01:04. Options: Archive for Sarah Faulkner. Bookmark the permalink. Follow comments here with the RSS feed. Post a comment or leave a trackback.